A Cameron County jury took less than two hours to convict a man who shot and killed an off-duty U.S. Border Patrol agent in August 2014 of capital murder. Gustavo Tijerina-Sandoval, of La Villa, showed no emotion as 197th state District Judge Migdalia Lopez read the jury’s verdict that found the man guilty of capital murder and attempted capital murder. The jury found that on Aug. 3, 2014, Tijerina-Sandoval shot and killed Border Patrol Agent Javier Vega Jr., of Kingsville, and shot and injured Javier Vega Sr., of La Feria, the agent’s father, during a robbery attempt. Tijerina-Sandoval’s co-defendant in the case, Ismael Hernandez-Vallejo, of Weslaco, has pleaded not guilty to charges of capital murder and attempted capital murder, and is being tried separately. His trial is scheduled for August. The sentencing phase in Tijerina-Sandoval’s trial begins at 1 p.m. today. The Willacy County District Attorney’s Office is seeking the death penalty. The 14-juror panel that will sentence Tijerina-Sandoval is sequestered and not allowed to watch television, use phones or talk among themselves about the case until they return to the jury room to deliberate Tijerina-Sandoval’s fate. 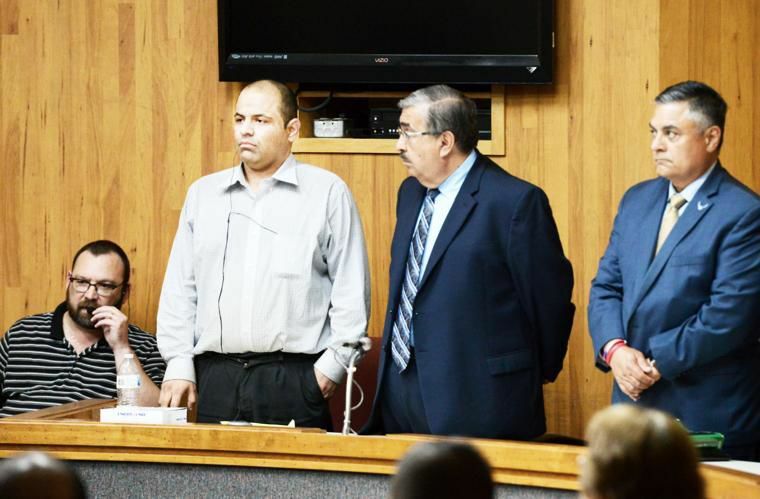 Willacy County Assistant District Attorney Charles “Chuck” Mattingly told Lopez that the prosecution intends to present multiple witnesses during the sentencing phase. Defense attorney Nat Perez told the judge that he and his co-counsel, Alfredo Padilla, need to talk with Tijerina-Sandoval to determine how the defense will proceed during the sentencing phase. Due to a gag order Lopez issued in the case, the prosecution, the defense and all of the witnesses are not allowed to speak to media at all or about the impact of the guilty plea because the sentencing phase has yet to conclude.